Clinics are a perfect way to both learn the basics and improve your skill level in a fun, relaxed group setting. Coach Mike makes your learning experience simple and easy to understand. You will leave every lesson with better knowledge and checkpoints so you can practice effectively and start to really enjoy yourself on the golf course. And don’t worry, he’s been coaching these group clinics for almost 30 years so he knows how to get the point across quickly. You will get plenty of attention! Coach Mike Arrigoni, PGA Professional will provide instruction, perfect for both the true beginner and newly intermediate level golfer. Players will develop a proper pre-shot routine and jump right into making full swings and hitting golf balls. The goal is to finish this session knowing how to practice and ready to tackle the golf course. Rules, etiquette and golf course management will be taught accordingly. *Advancement to the Golf Better Adult Series (Level II) will be determined by Coach Mike. *Class is limited to 10 players. 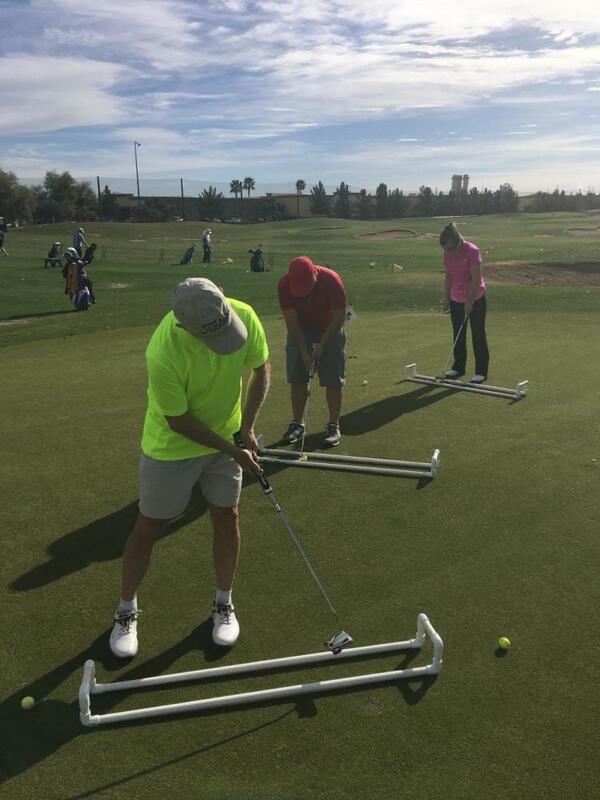 Coach Mike Arrigoni, PGA Professional will provide instruction, perfect for the avid golfer who wants to shoot lower scores by improving some or many areas of their game. This class is focused on specific golf swing positions leading to better contact and a consistent ball flight. Players will learn to pitch the ball the ball closer to the hole and sink more putts. *Advancement to private lessons will be determined by Coach Mike. Coach Mike Arrigoni, PGA Professional will provide instruction, perfect for both the true beginner and newly intermediate level junior golfer. They will develop a proper pre-shot routine and jump right into making full swings and hitting golf balls. They will learn proper practice habits and finish ready to tackle the golf course. Rules, etiquette and golf course management will be taught accordingly. *Advancement to the Golf Better Junior Series (Level II) will be determined by Coach Mike. *Class limited to 10 players. Coach Mike Arrigoni, PGA Professional will provide instruction, perfect for the junior golfer who is already playing golf or has the required skills to start playing on the golf course. Players will redevelop proper swing positions and start to achieve a more consistent ball flight. They will learn proper practice habits and finish ready to shoot lower scores on the golf course. Rules, etiquette and golf course management will be taught accordingly. *Advancement to Tournament Prep Junior Series (Level III) will be determined by Coach Mike. Perfect for the advanced junior golfer wanting to compete or currently competing in tournament golf! Coach Mike Arrigoni, PGA will share his tournament experience and training routines on positive thinking, practicing correctly and shooting lower scores. New and exciting topics will evolve every 5 weeks as this “Train to Win” program runs year round! 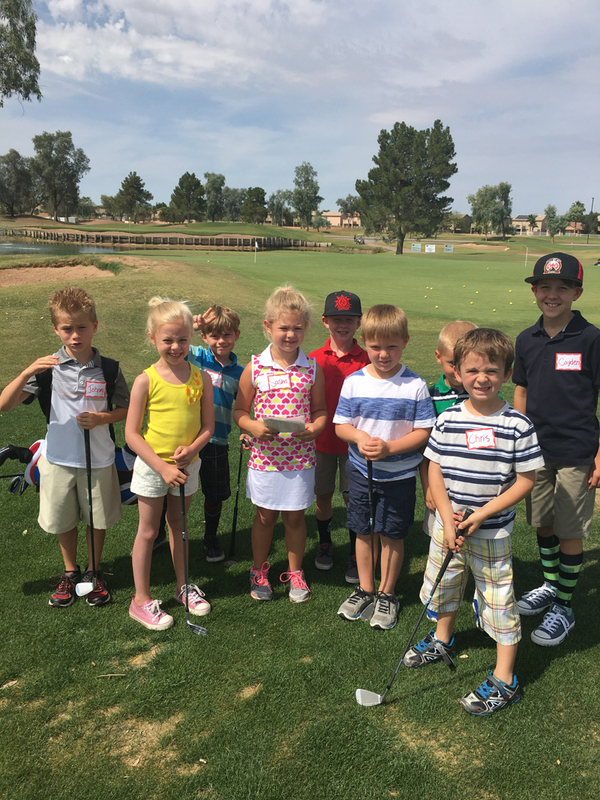 The following are just examples of what’s in store for these future golf stars! Coach Mike Arrigoni, PGA Professional will provide instruction, perfect for both the true beginner and newly intermediate level junior golfer. They will develop a proper pre-shot routine and jump right into making full swings and hitting golf balls. Chipping, pitching, putting and driver swing will follow. They will learn proper practice habits and finish ready to tackle the golf course. Rules, etiquette and golf course management will be taught accordingly.